Ever since 2004’s Grand Theft Auto: San Andreas, Bigfoot has been lurking behind the scenes of Rockstar’s open world like a cryptozoological master of hide and seek. The giant hairy humanoid has appeared in one form or another in Red Dead Redemption, GTA 4, GTA 5 and now, it turns out, Red Dead Redemption 2. As demonstrated by YouTube channel Video Game Sophistry in the clip below, Bigfoot is alive and well in Red Dead Redemption 2, though he’s much more talkative, open, and easy to find than his counterparts in previous Rockstar Games. 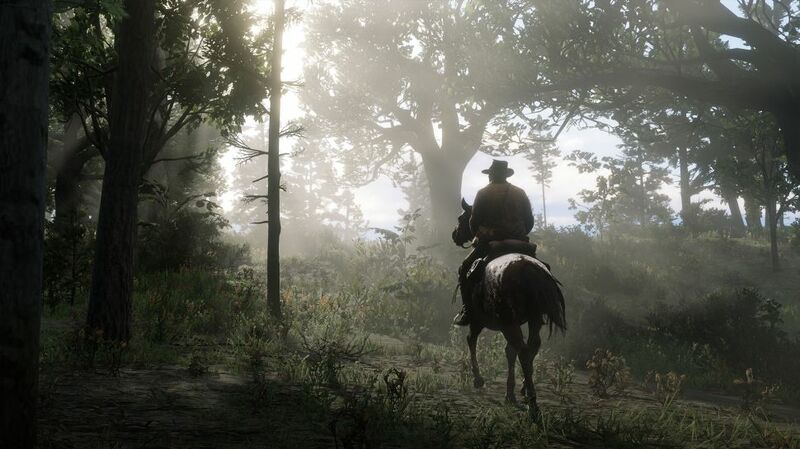 To discover him, you’ll first need to study at least 30 animals in the game (our Master Hunter Challenges guide is a good way to go about reaching this threshold), before following a flock of strange birds found in the very north of the Red Dead Redemption 2 map, just by Calumet Ravine, to an obstructed cave. Upon finding the cave, a voice will call out to you, and while we don’t ever get to see him in person, the man’s conversation with Arthur about having “large children” and the plight of being “too big” makes it very clear about who we’re talking to. You can return to the cave three days later to strike up a new chat with Bigfoot, but it’s not known whether this is the end of the Easter egg altogether. Could the famed creature burrow out of his cave at some point, letting us kill him for a pristine Bigfoot pelt? Will finishing everything else in the game (via our handy Red Dead Redemption 2 100% completion guide) unlock a third and final conversation with the elusive hermit? Players are still trying to figure it out, but it’s good to know that Rockstar hasn’t lost its touch when it comes to continuing an in-game mystery for the ages. Why “GoDaddy” is the best in domain’s and hosting?